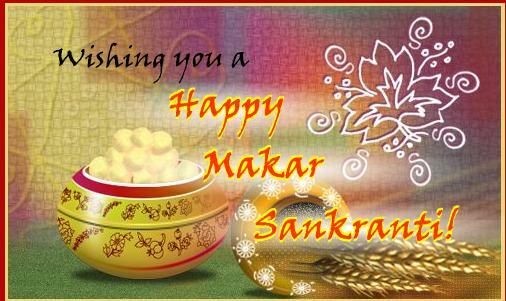 wish you all a very happy sankranti!!! I’m sooooo really shocked to see my picture ( Dal Makhani) in eenadu vasundhara’s online edition. There are couple of more pictures probably taken out from other blogs. Its such and unprofessional way for a well known news paper to do this. Eenadu paper should be ashamed of what they are doing. They should atleast mention the blogs they used. I request all my fellow bloggers and readers to pass of this to every one . I wish I can take some break from work but I never wish to take a break from blogging:), unfortunately its always gets reversed. Anyway the thing is my family and husband’s family is here visiting us for summer. I won’t be able to blog for sometime but I took some pictures of stuff they got me from India and pictures of few dishes ( mom & mils). I will try to post them sometime. Till then Happy Cooking !! Well I wanted to post the recipe along with ugadi wishes but it kept on dragging with work, kid, guests and other stuff. If I keep postponing this will sit in drafts folder for ever. Nish came running to me and asked me what am I going to do with ravva mixture and I explained him. After listening to me he simply said oh!! so you are making white balls for daddy to eat and my turn was to say yes. He came back to me again and asked whether he can have one white ball to play as he could not find his ball. Well boys are boys!! Melt 2 tbsp ghee in a heavy bottom saucepan or wok . Fry cashew nuts and raisins separately till golden brown and remove with a slotted spoon and keep aside. Add ravva/semolina to same pan (add little ghee if needed) fry gently on low flame till golden brown and fragrant. You can notice the change of color and aroma of ravva at this point when compared to raw ravva. Remove from heat and keep aside. Return the same pan to heat melt 1 tbsp ghee, add grated coconut and fry gently on low heat till light golden brown and fragrant. Slowly stir in the fried ravva and mix, fry for another 2-3 mins. Stir in sugar and mix gently let all the mixture incorporate (Do not over fry,the sooji mixture will turn dry and it will start smelling like coconut oil). Keep the heat on medium-low . Stir in fried cashew nuts, raisins and cardamom powder (Add little ghee around 1-2 tbsp if you like). Mix well, remove from heat and let it cool a little. In a wide plate pour the milk , when the mixture is warm enough to handle, wet your plam with milk , take a handful of the ravva mixture and squeeze between your fingers and palm to form small balls. Its little tricky to get the right shape, add extra ghee at the end will help to shape the balls. You can either sprinkle little milk on the mixture and form balls, or prepare sugar syrup and stir in ravva mix, follow the remaining steps. Always use fresh coconut. Wish you all a very happy and prosperous Ugadi.